In the world of astronomy there is some shocking news from the Minnesota Planetarium Society which announced that they have discovered the moon’s gravitational pull on Earth and its affect on the alignment of stars which has pushed them by about a month. What’s this mean for those that look to the stars and get a daily scoop on their horoscope to have an insight into their life? It means the signs may be changing. For example, when astrologers say that the sun is in Pisces, it really is not in Pisces. When a person is born, they are born under a sign which is determined by the position of the sun on the day they enter the world. With the current news, this means that everything we though we knew about our horoscope sign is no longer correct. Since the inception of astrology it has had issues. Ancient Babylonians had 13 constellations, but only wanted 12, so they threw out the snake holder, Ophiuchus. During the Julius Caesar era, Libra entered the picture. And, today Ophiuchus is now introduced. 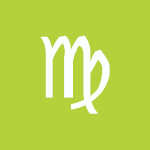 According to the Minnesota Planetarium Society the real sign of the Zodiac should be as follow. Take a gulp and realize your personality just may take a turn! Yes, Ophiuchus is new. So, what should you know about it? That Sagittarians and Capricorns have a new zodiac sign. And, there are some must know questions about this new sign. Our new addition to the zodiac chart is a man wrestling a serpent, dividing the snake’s body in two parts. It is the only of the zodiac signs that is linked to real men and shares similarities to Imhotep. What is Imhotep you may ask? Imhotep is a biblical Joseph and a BCE Egyptian doctor of the 27th century . Ophiuchus is considered a healer of men and a doctor of medicine or science. He seeks enlightenment and higher education. And, is expected to gain much in life achieving a high position. Our new friend is an interpreter of vivid premonitions and dreams and is envied by his peers and favored among authority figures and by his father. A very nice addition to what was already a strong family. Earth is the card of everyday life. Earth makes riches of all kinds available to those who are in tune with her. Do you think that astrology is only for people? Planet effects also all live existence in the earth. Pet haven´t so difficult disposition as people, but have psychological disposition. Also animals have feelings. Dogs, cats and some birds have more feelings than other animals. If you want to find your pet temperament you must be as long as you can with your pets. If you find your pets zodiac sign you have better chance to understand it´s sense. Pet´s astrology can help you to sense it´s individuality. If is your dog unusual cleanly and smart it can be Virgo. If it is still bored it can be Sagittarius. If you don´t know how is your pet zodiac sign read next and you will find your answers. Is your pet a Leo? If so he or she probably has a shiny, glorious mane or coat of some kind and a beautiful disposition. Many Leo animals also have big eyes and long whiskers and set of big, sharp teeth. These animals are known for their athletic prowess and can often run the fastest, climb the highest and breed several generations of children. Is Your Pet a Pisces? Is Your Pet an Aquarius? The Aquarius pet love people but they also have a habit of driving you crazy because they are so eccentric, free-spirited and difficult to train. The dogs will show you they love you by jumping up on you and barking the entire time you are not home. The cats will show they love you by dropping a dead mouse on your pillow and trying to sleep on your face. Is Your Pet a Capricorn? Is Your Pet a Sagittarius? Is Your Pet a Scorpio? Is Your Pet a Libra? 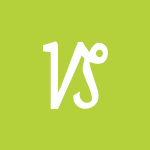 Is Your Pet a Virgo? The Gemini pet is usually pretty, quick on it’s feet and quick to learn. The dogs and cats are very trainable. They are also very social and bond easily with the family and other people. However they can also be a bit disloyal and it is not unusual for the Gemini dog or cat owner to be dismayed by how quickly the Gemini animal can run away. If your pet is a Taurus you have a chosen a loyal companion that is easily domesticated. Both cats and dogs born under this sign tend to stick to home. They are also easy to train and love to socialize with people. If your pet is born an Aries then you can expect to have a pet that is more impulsive than usual. If you have a dog it might have quite a few misbehavior such as jumping the fence or chasing cars. The Aries cat also tends to be quite reckless and will scramble way up a tree to catch a bird without thinking at all about how. Intimacy can be challenging. It’s not easy feeling exposed and vulnerable to those you love and trust — much less to someone you’re newly dating. Relationships bring up our deepest anxieties, which we express in different ways. Some signs, such as Sagittarius and Aquarius, fear they’ll lose their independence, so they hold people at arm’s length. Others, like Cancer and Scorpio, crave commitment and may come off as too needy. Learning how to create true intimacy is what life’s all about. What issues might stand in your way? Look up the intimacy horoscope for your sign below. You’re determined to do things your own way, Aries. That spark of sovereignty within you is strong, and you fear losing it in relationships. Because you can take care of things so well on your own, you may shy away from letting others know how much you need them. Practicing the art of give-and-take is the key to maintaining your independence and also letting others in deeply. Also, take care you don’t demand too much, too soon. You know once you make a commitment, Taurus, it’s for good. That’s why you take your time choosing the right person. Once locked in, however, you want things to stay the same forever and stubbornly resist change. Fear of leaving your comfortable rut is your single greatest barrier to intimacy — a condition that thrives on constant growth. You need to trust that change is good, and embrace it with open arms before love can flourish. You tend to flit around a lot, Gemini, never staying put long enough to establish deeply-rooted ties. The fear of becoming bored or being hemmed in tends to keep you on the surface of things, never investing enough of yourself to feel committed. And, there’s that secret fear that your partner might discover the “dark twin” you try so hard to hide. Yet letting someone in shines the light of love into the darkness — leading to true intimacy. You fear exposing your soft underbelly, Cancer. Since your emotions are so close to the surface, it happens more often than you’d like. Once exposed, you’re at your loved one’s mercy. Because you’re more comfortable nurturing others than receiving loving care, being willing to fall apart, cry or be vulnerable is actually good for you. And, your willingness to reveal yourself makes intimacy with others much more rewarding. You have a hard time relinquishing control, Leo. And, your desire to be the one in charge can keep others at a distance. Because you seem so capable, they may be content to let you run the show. Don’t fall prey to this trap, though — sharing power in a relationship is the key to intimacy. As you reveal areas in which you’re not as competent, you let others know the true you. Your quick temper can also ward people off, so practice patience. A feeling of unworthiness is at the root of your intimacy issues, Virgo. You fear that if you reveal your imperfections, others will run away. Yet no one holds you to the impossibly high standards you set for yourself. In fact, they’d rather you come out and play instead of always worrying and care-taking them. Don’t let your sharp mind and analytical abilities dominate your feelings, where the magic of intimacy lies. You work hard at making things beautiful and harmonious, Libra. Therefore, you may tend to sweep relationship issues under the rug where they fester and create distance between you. Intimacy is about being real, not pretending things are ideal when they’re not. Also, your agile mind is skilled at figuring out feelings without ever feeling them. Getting into the messy realm of emotions scares you, but it’s the key to intimacy. 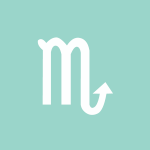 People sometimes feel threatened by you, Scorpio, which can be an obstacle to closeness. It’s not that you avoid intimacy; you thrive on delving deeply into feelings and confronting issues. It’s just that your intensity and blunt honesty can be too much for others. And, they may feel you want too much. On the other hand, you may hide your deepest feelings, afraid that if you open up you’ll be betrayed. You need to learn to trust more. Yours is the sign of the eternal bachelor, Sagittarius. Footloose and fancy-free, you fiercely guard your freedom and often turn tail and run when people get too close. Your biggest obstacle to intimacy is considering commitment a trap, associated with the boring and humdrum. The solution is to find a partner who’ll give you a long leash — but in return, you’ll have to promise to stick around for the tedious parts. You want to be seen as the strong one, Capricorn. Capable, sure, even stoic, you shy away from the realm of emotions and are loathe to let your vulnerabilities show. Others end up leaning on you, but what happens when you need help? You need to learn how to let others past your defenses and love you. Once you shatter the illusion that you’re invulnerable, then caring becomes a two-way-street and true intimacy is yours. Like Mr. Spock from Star Trek, your sign prefers logic to feelings. You’re seen as self-contained, even chilly, and have trouble expressing what’s in your heart. Because you possess a brighter, quicker mind than most, you think it ought to serve all your needs. You fear losing your freedom if you let others in. Yet to avoid the fate of loneliness, you need to open up and explore the territory of the heart. Your biggest obstacle to intimacy, Pisces, is a lack of self-knowledge. You’re such a chameleon, skilled at being all things to all people, that you may not know what you really want. As you spend some time alone, apart from others’ needs and feelings, you’ll create better boundaries and lose the need to rescue those you love or let them take advantage of you. You’ll also find that place of strength that fosters true intimacy. The New Moon/Solar Eclipse occurred in the sign of Aquarius on the 15th, and the First Quarter Moon will occur on February 23rd. A conjunction of Venus and Neptune happens today in the sign of Pisces, and this is a gentle, subtle, and imaginative influence. We can experience heightened sensitivity to — and awareness of — beauty and spirituality, and we might feel renewed on creative levels. We are easily influenced, seducible and seductive, and given to strong powers of imagination. We are particularly attuned to the world of beauty and romance today. Psychic openness and compassion are themes in our interactions now. This can be a magical time on a romantic and social level, but it could also be a confusing or illusory influence as well. However, a Mercury-Saturn sextile is also in play today, and it helps ground us, at least on mental levels. This transit promotes a deliberate and efficient approach to the world around us. We see the benefits of getting organized, making lists, attending to details, and making sound judgments and decisions. The Moon spends the day in stable, gentle Taurus. Two stunning star clusters, one of the sky’s largest asterisms, and the majestic Aldebaran all visit the sky this week. The dwarf planet Ceres reached opposition and peak visibility in late January, and it remains a fine sight this month. It currently shines at magnitude 7.2 and is an easy object to spot through binoculars. The largest member of the asteroid belt resides in the northern part of the constellation Cancer the Crab, which appears in the east once darkness falls and climbs highest in the south around 11 p.m. local time. This evening, Ceres lies 0.6° due south of the magnitude 5.7 star Sigma1 (σ1) Cancri. The half-lit Moon rides high in the south just after sunset and then sinks slowly toward the western horizon throughout the rest of the evening. Our satellite officially reaches its First Quarter phase at 3:09 a.m. EST tomorrow morning. The Moon spends the evening hours in western Taurus, not far from the Pleiades and Hyades star clusters. The waxing gibbous Moon lies just east of the 1st-magnitude star Aldebaran this evening. Depending on where in North America you live, the gap appears to be 4° or 5° in early evening and grows about 0.5° every hour thereafter. Aldebaran represents the eye of Taurus the Bull and appears to mark one tip of the V-shaped Hyades star cluster. In reality, Aldebaran lies only about half as far from Earth as the cluster does. Mars follows about two hours behind Jupiter these winter mornings. The magnitude 0.9 Red Planet rises shortly after 2 a.m. local time and appears 25° high as twilight starts to paint the sky. It lies against the backdrop of southern Ophiuchus, and this morning has a close encounter with the 9th-magnitude globular star cluster NGC 6287. Astroimagers will want to capture the planet as it passes just 15′ north of the cluster. Unfortunately, the view of Mars through a telescope proves disappointing — its disk spans only 6″ and shows no detail. Although Saturn passed on the opposite side of the Sun from Earth only two months ago, it already appears conspicuous in the southeastern sky before dawn. From mid-northern latitudes, the ringed planet lies 15° above the horizon as twilight begins. Saturn shines at magnitude 0.6 and appears significantly brighter than any of the background stars in its host constellation, Sagittarius the Archer. Three bright planets congregate in the southeastern quadrant of the sky at dawn this month. Jupiter is the brightest and highest of the three, shining brilliantly from near the center of Libra, high in the south at first light. At the same time, Saturn is low in the southeast, just above the teapot formed by the brightest stars of Sagittarius. Mars slides between them. It begins the month closer to Jupiter (and close to its “rival,” Antares), but ends the month closer to Saturn. Canis Major, the big dog, is in the southeast as night falls. The constellation’s third-brightest star, Wezen, is one of the biggest, brightest stars in our part of the galaxy. It’s also one of the youngest, at an age of just 10 million years. The Moon will reach its first-quarter phase tonight, as sunlight illuminates half of the lunar hemisphere that faces Earth. The illuminated fraction will grow larger each day until the Moon is full on March 1. The bright orange star Aldebaran, which marks the eye of Taurus, the bull, stands to the lower right of the Moon as night falls and leads the Moon down the western sky later on. The star is about 65 light-years from Earth. The planet Venus, the brilliant “evening star,” is returning to view. It is quite low in the west at sunset, so any trees or buildings along the horizon will block it from view. If you have a clear horizon, though, you may be able to pick it out. The constellation Monoceros is well up in the southeast in early evening, between the bright stars Procyon and Betelgeuse. A telescope reveals that the unicorn’s second-brightest star actually consists of three stars, all of which shine blue-white. An obscure cat known as Lynx pads high across the sky at this time of year. It stands high in the north-northeast in early to mid evening, about half way between the outer stars in the bowl of the Big Dipper and the bright twins of Gemini. The Moon is closest to Earth for its current orbit today, a point known as perigee. The Moon will be full on March 1, so the combination of perigee and an almost-full Moon will produce above-average tides. Shifting sands lay singing in the Heart of the Night. White-clad maidens below were dancing on the shore. My body swayed to your Heavenly Heart beat. Paled in my mind Earthly delight. And windblown spray covered my face. I could feel the tender pain of Life’s bloom. Deep inside with a healing touch you blessed. Your light speared deep within, soothing my strife. To you I come seeking protection from the night. Surrounded by Love, hidden from harm. From you we all trace our Birth. Shine down upon us, we pray for your Love. The Moon is in Aries until 2:11 PM, after which the Moon is in Taurus. The Moon is void from 6:11 AM to 2:11 PM. The Moon continues its transit of Aries until 2:12 PM EST, aligning with Uranus this morning, and our feelings and desires are fiery, immediate, and hard to ignore. This afternoon, the Moon moves into Taurus, later harmonizing with the Pisces Sun, and we seek out more calm and cooperation. With tonight’s semi-square between Mercury and Pluto, however, we may be suspicious or feel pressure to know the truth about a matter. There can be difficulty getting our message across or winning support for our ideas with Pallas and Chiron forming a semi-square. We might also be sensitive to imbalances, perhaps feeling that we’re mistreated under this influence. Thinking may be a little troubled or chaotic now, but we’re moving towards a Mercury-Saturn sextile, exact tomorrow afternoon, that helps us sort out our thoughts, plans, and priorities. The Moon is void from 6:11 AM EST, with the Moon’s last aspect before changing signs (a conjunction to Uranus), until the Moon enters Taurus at 2:12 PM EST. 2018 begins with a powerful initiation towards Change with two Eclipses supporting us to break through the “holding patterns”, Release (the past), and step courageously into the Unknown! On January 31st, we have a Full Moon Lunar Eclipse and on February 15th a New Moon Solar Eclipse. Eclipses have a way of amplifying the already potent energy of the NEW and FULL Moons, which symbolically represent peaks of energy, beginnings, endings, & celebrations. How this translates into our own lives can be observed by a surging intensity around the deeper issues within our own lives. Our patterns can reach a peak of expression, our core issues can surface with (what feels to be) a vengeance, and the need to recognize and acknowledge the necessity for Change can come on stronger than ever. Determining how these Moons fall in your own chart will help to shed light on what areas of your life may be most affected by the shifts at this time. Both the Full and New Moon Eclipses occur in the Signs of Leo and Aquarius. This is the Axis of Creativity and Expression. The Moons here in these signs are enlivening and energizing these qualities in all of us ~ Personal Expression and Co-Creation. How are You doing it? The focus is on how we are personally showing up in our own individual expression and how this affects others, the community, the collective, and the whole of life. Looking at the World Stage, it is clear that this is a very important area to be paying attention to! It’s time. 2018 is a year that emphasizes Integrity and Authenticity. We must all do what we can to move into alignment with these important ways of being. It is becoming clearer that nothing can stay hidden for very long anymore. The next years ahead of us are very much about “full disclosure”, as we can see now that we are already clearly experiencing this. 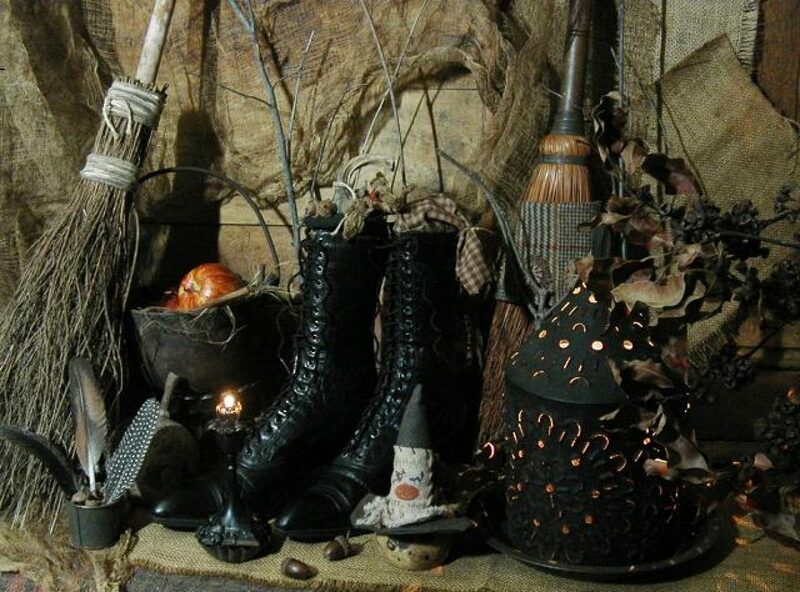 So, with these next Full and New Moons, may we all embrace the opportunities at hand to see more clearly, to reflect on the information we are receiving with all that is being revealed, and to have the strength and courage to express ourselves from our hearts in integrity for all of life. 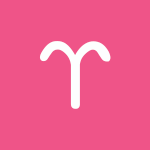 This is an active time for bringing a sense of harmony and peace to a friendship, or for being a mediator with others, dear Aries. You are taking more pride than usual in your ability to relate well to people and to bring others together. Emotional matters can be on the tricky side, though. Money or relationship worries can surface later today. Your mind tends to move towards the darker elements of your life, and this can stimulate mental circling and spiraling, which is destructive rather than creative. Confront your fears rather than allow them to take over. Fortunately, a Mercury-Uranus aspect helps you reason things out and move on. A helpful conversation, invitation, or piece of news may be part of the picture now with these planets forming a pleasant alliance. Friends and networks can be the source of inspiration, or you might inspire others. Tomorrow is a Solar Eclipse, and today is good for winding down. Tomorrow is a Solar Eclipse, dear Taurus, making today an important time for winding down. However, this doesn’t mean the day has to be boring. It’s, in fact, a healthy day for relationships with bosses, parents, or work superiors, and for bringing harmony to your place of work. These things can be keys to success now and in coming weeks. 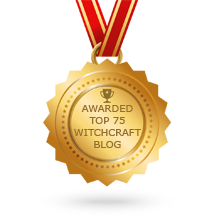 You may be receiving special attention for your efforts, work, or accomplishments, and could be in the position to guide others in the weeks and even months ahead. Now is a good time to think about what you want to strive towards. You are giving off a protective, supportive vibe that draws others to you. Even so, later today there can be brooding energy, but it may be best to lift yourself above petty disagreements. A Mercury-Uranus influence coming into play now can help tremendously on this front as it allows for some detachment. It’s an excellent time to become better informed, and for seeking out new or unique approaches to career, public relations, or life path matters. 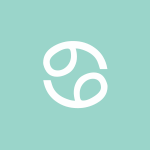 You can be in the position to help and support others through your ideas or personal philosophies today, dear Gemini. This is a robust time for connecting with people through the mind, communications, learning, and ideas, as well as for empowering yourself through your studies. Relationships can improve today by giving others their space or encouraging their independence. Later today, however, there can be a tendency to nurse resentments. Do your best to rise above game playing. If you need to clear the air, do so, and keep in mind that we can be somewhat sensitive and reactive right now. Fortunately, we’re moving towards a Mercury-Uranus aspect that helps you see many possibilities. It also aids others to detach just enough to gain some perspective. This is a good time for entertaining new ideas, but not for starting something new since a Solar Eclipse will occur tomorrow and is likely to redirect your energies or focus. Networking can lead to useful and pleasant discoveries. 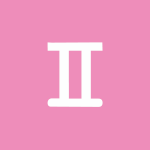 You’re taking pride in being fair and non-judgmental with money, sharing power, and in close relationships right now, dear Cancer, and others appreciate you for these qualities. Later today, however, there can be difficulties coming to a place of agreement or understanding. Arguments can stem from people expecting one another to read their minds or to intuit what it is they need and want. This can be a time of asking yourself what you or another fear, and taking it from there, as a Venus-Pluto aspect today suggests that tense or controlling behavior comes from fears of loss or of being out of the loop. Fortunately, we’re tapping into good energy for solving problems and talking things through with objectivity. In fact, you can be very rational about tricky or sensitive topics right now. Business and career matters might improve with new methods or approaches. A surprise advance or development with a relationship or financial issue can be pleasant now. 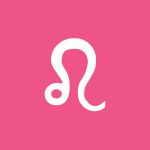 As the Sun and Juno come together in your partnership sector today, you can be taking particular pride in your close relationships or your ability to treat others fairly, dear Leo. You may also be feeling more empowered through a close relationship. There is a satisfying sense that the effort you put into creating balance and harmony in your life now will reward you for some time to come. You are also a little more sensitive than usual to any feeling of inequality in your relationships, and efforts to bring things back into balance may involve the very kind of conflict you set out to avoid! Even so, the process can be rewarding. Buried resentments can emerge later today, possibly in a disruptive way, but you have all the tools to talk things through and learn from the experience. This is an excellent time for consulting others, increasing your understanding of a special person in your life, and coming up with bold new ideas. Interactions with people close to you can be energizing now and in weeks to come as the energies today are imprinted on tomorrow’s Solar Eclipse, which will affect you for months into the future. Conversations are refreshingly open, honest, and revealing. When tension emerges, use the power of candid communications to rise above it all or figure out what it all means. Bringing balance and harmony to your daily routines and your work environment is important to you, dear Virgo, especially at this time of year. You’re in an excellent position for doing so now, and you can feel empowered through your efforts. Cooperation and support are in sharp focus now. While social elements can affect productivity now, your efforts are nevertheless meaningful and contributing to long-term happiness. As the day advances, on the one hand, there is some possible tension related to sensitive feelings. We may be a little possessive or jealous if we’re afraid of rejection or betrayal, and people in your life may seem to need more reassurance than usual. 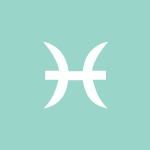 On the other hand, a Mercury-Uranus aspect sets the perfect environment for talking through problems. You may even reach an intellectual or communication breakthrough. With Mercury in your work and health sector, new insights or discoveries tend to center around health, employment, habits, and routine matters. You might discover new methods for improving your health or making your daily affairs easier or more efficient. There can be test results that you were waiting for coming in or new light shed on an old problem. You’re in a unique position for reaching an agreement with a lover, friend, or child today, dear Libra, as the Sun and Juno come together in your solar fifth house. You are big on fair play, in general, and you can be a particularly useful mediator or facilitator today. Creative efforts can also thrive as you’re feeling pleasantly competitive and motivated. As the day advances, a Venus-Pluto tense aspect comes into play, however, there is a strong tendency to feel more vulnerable and to make attempts to protect your feelings. In fact, these efforts may take you further from the problem than is healthy. Try not to allow this to control your mood or interfere with your relationships. 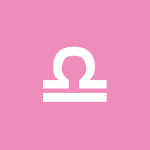 Fortunately, a Mercury-Uranus connection in your relationship sectors puts you in a beautiful position for coming to a mutual understanding or for enjoying stimulating conversations with someone you care about. With this added layer of objectivity and a sincere desire to grow and improve, you can talk through most any problems. With the Sun and Juno’s alignment in your home and family sector today, dear Scorpio, you can be determined to make peace with family or bring a feeling of harmony and balance in your home environment now. You are a little more sensitive to imbalances, but fortunately want to take action to correct problem areas. As the day advances, however, it may be all too easy to push an issue too far as Venus connects with Pluto in a minor but irritating way. If you’ve been holding on to resentment, it might surface now, perhaps unexpectedly. A Mercury-Uranus aspect, however, helps you to detach, let go, and talk through your issues. This is a time for reasoning things out. Your thinking is forward-looking and growth-focused, and you can approach domestic work, health, and routine matters in new ways. Through honest conversations and thoughts, you can get to a place of far greater understanding of your feelings about core issues. With the Sun and Juno joining forces in your solar third house today, dear Sagittarius, you are a powerful force when it comes to speaking, sharing, connecting, learning, and teaching. You are a natural at networking and might find yourself in the position of mediator or guide today. Even so, a Venus-Pluto aspect can heighten worries about security or finances, which may very well lead to some tensions in your relationships. A Mercury-Uranus harmony keeps your mind open to possibilities and ideas and helps you focus on what can be done to let go and move on. People are attracted to your unique perspective and convictions today and tomorrow. Worry, concern, or frustration can lead to inventive solutions. 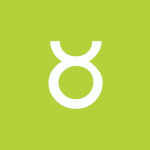 You’re in a great position today for balancing and organizing your work or finances, dear Capricorn. Cooperating, negotiating, and solving problems are in focus and positive. You can enjoy taking special care of others or offering some guidance. Staying on top of your money, things, and business can feel empowering now. As the day advances, a Venus-Pluto minor challenge can stir up resentments or fears related to missing out or interpersonal problems. Frustrations emerging now tend to have a deeper root than what appears the case on the surface of things. Fortunately, we’re also closing in on a sextile between Mercury and Uranus, and conversations can be wonderfully useful for gaining perspective. Thinking and musing can lead to creative places. Progressive ideas about how to make yourself feel more secure and comfortable can emerge today and this week. 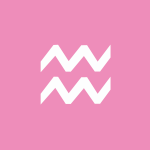 Your ability to mediate, negotiate, and treat others reasonably is in marked focus today, dear Aquarius, and is appreciated by the people around you. This is due to a Sun-Juno conjunction in your sign. Your personality is shining for your ability to create harmony, and you can be especially charming and appealing today. You feel proud and stronger for expressing yourself. As the day advances, a Venus-Pluto minor challenge points to possible worries about money or resources, and may even stir up issues of self-worth. 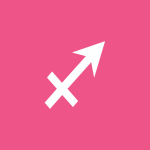 While this may be a recurring issue that’s emerging and it deserves some attention, you may decide to focus on moving forward as your ruler, Uranus, forms a sextile to Mercury in your sign, leaving you in a particularly strong position to get your message across effectively. Using the power of words to attract what you want or to further your interests works supremely well for you. The chance to enjoy conversations with the things that genuinely interest you can emerge. Even so, take things easy, as tomorrow brings a Solar Eclipse in your sign, as well as the chance for new beginnings. There is a strong focus on the past or your private life these days, dear Pisces, and today is no exception. You can be very busy sorting through past experiences seeking a point of resolution or closure as the Sun and Juno come together in your privacy sector. You are especially sensitive to imbalances, and you want to set things right. However, later today there can be vague concerns and worries that tend to hang heavily in the air, and some of you could be concerned about a relationship or friendship. Try not to overthink things, as is the tendency now. A Mercury-Uranus influence is also in place, and while it doesn’t cancel out the tension, it helps us talk through or reason out problems. Your mind tunes into progressive ideas and possible areas for improvement. Open-mindedness brings wonderful rewards. 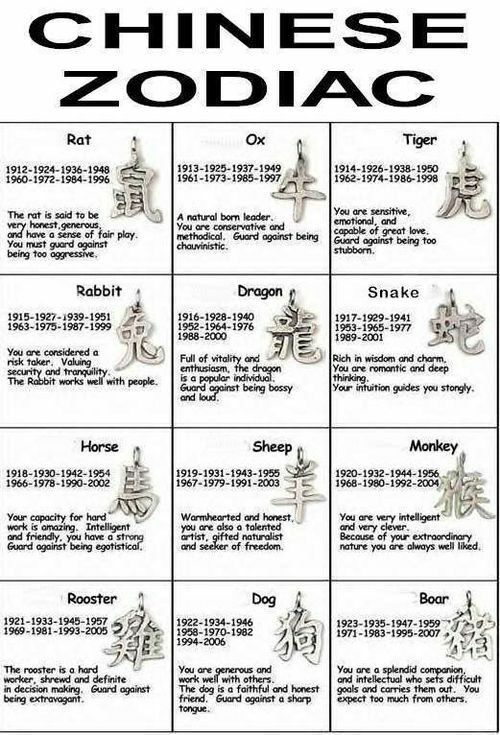 What Sign are you in the Chinese Zodiac? 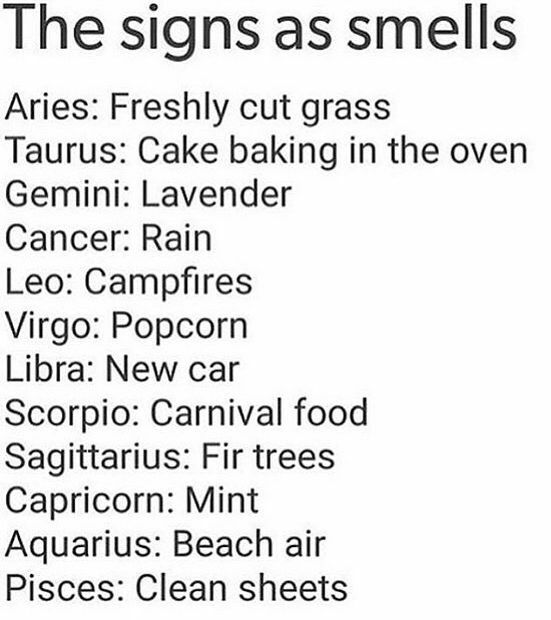 Ever Imagine Your Zodiac Signs Associated with Smells?